The launch of the iPhone 5 also meant the introduction of the new Lightning dock connector, which Apple states is 80 percent smaller than the former 30-pin connector. 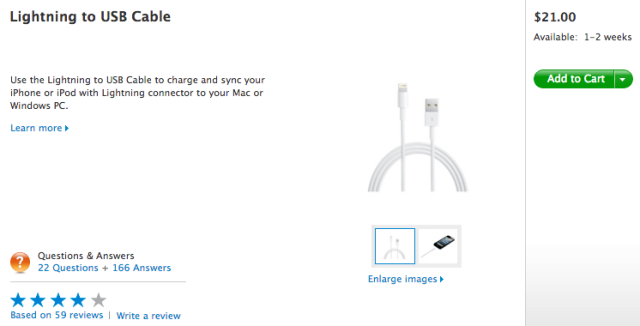 This also means there’s a mad scramble for Lighting to USB cables as only having one around just isn’t enough (unless you invested in Lighting to 30-pin adapters at $35 a piece). If you aren’t close to an Apple Store, you can order it online for $21.00 but the current wait is 1-2 weeks. Don’t want to wait? Then you’ll need to hit up an official reseller. The latter seems to be sporadic in carrying the new cable, but so far they are available from Future Shop ($39.99) and Best Buy ($21.99). 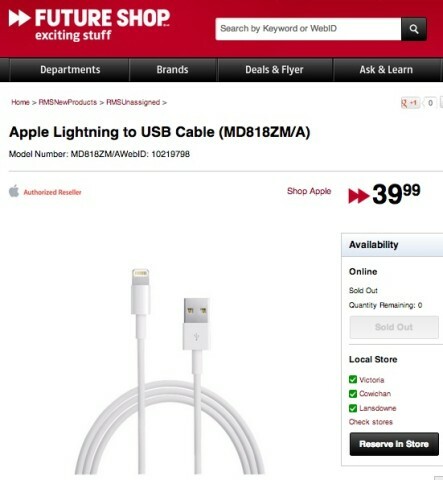 There is a bit of a price discrepancy, but you can always try to price match at Future Shop to match Apple. 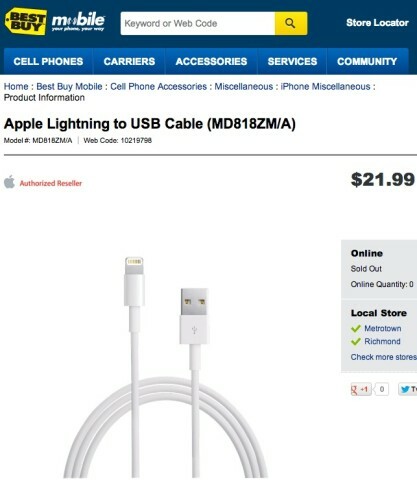 As for other resellers of the Lightning to USB cable, it looks like carriers and resellers have the in stock (ie. Rogers, Tom Harris, Glentel Stores: Wireless Wave, Tbooth Wireless, Wireless etc.). Good luck and share with us where you managed to buy one.